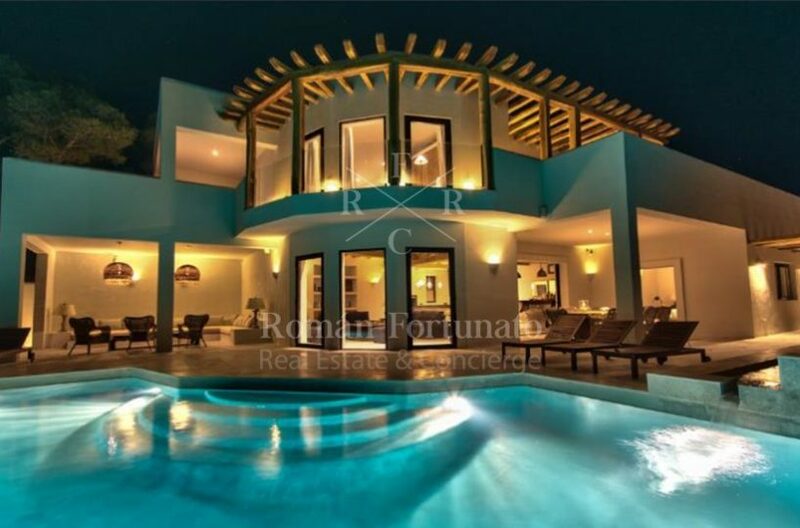 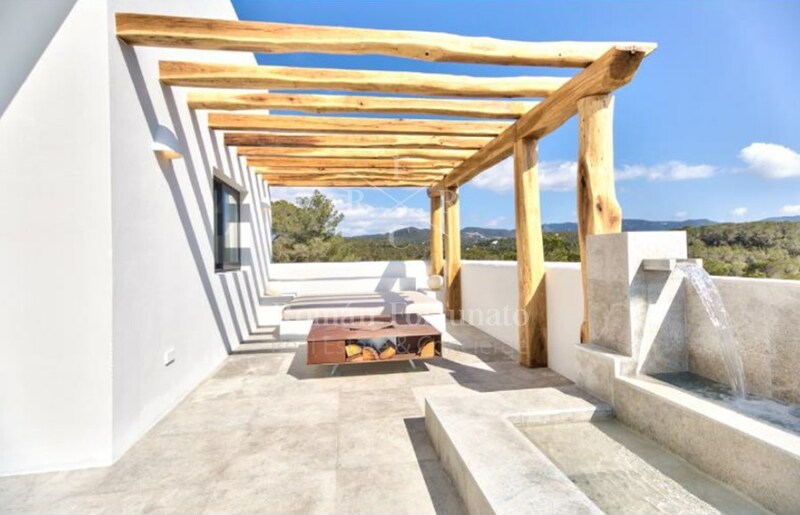 One of the best villas in Ibiza! 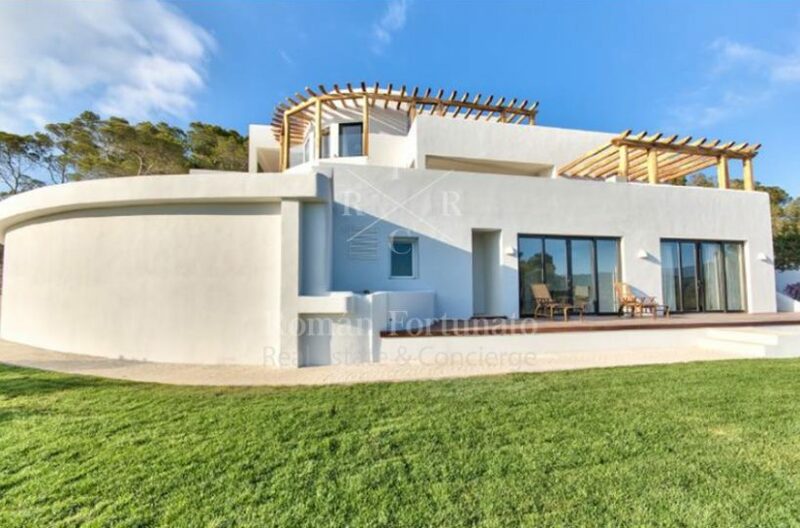 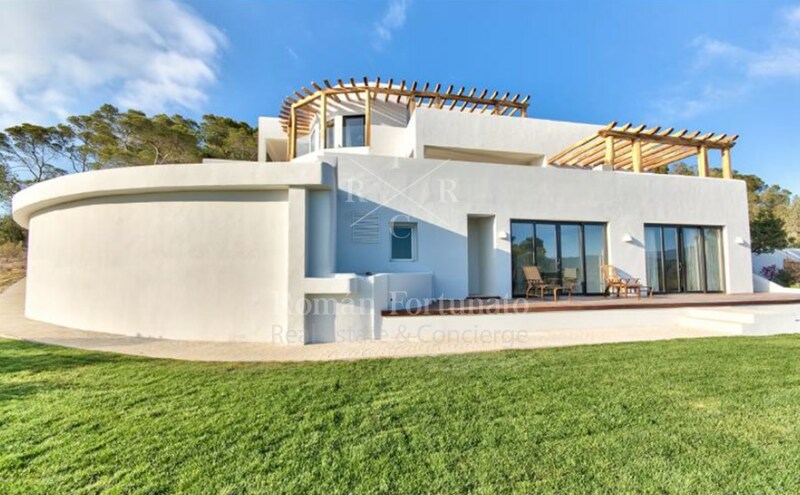 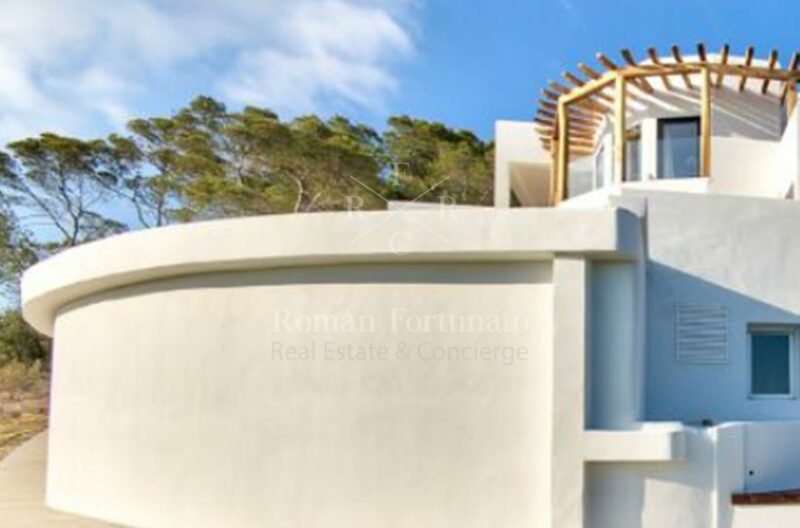 Abrand-new Luxury Villa and is perfectly situated on its own 12,000m2 plot with no direct neighbours, in the highly desirable Cala Conta on Ibiza’s West Coast. 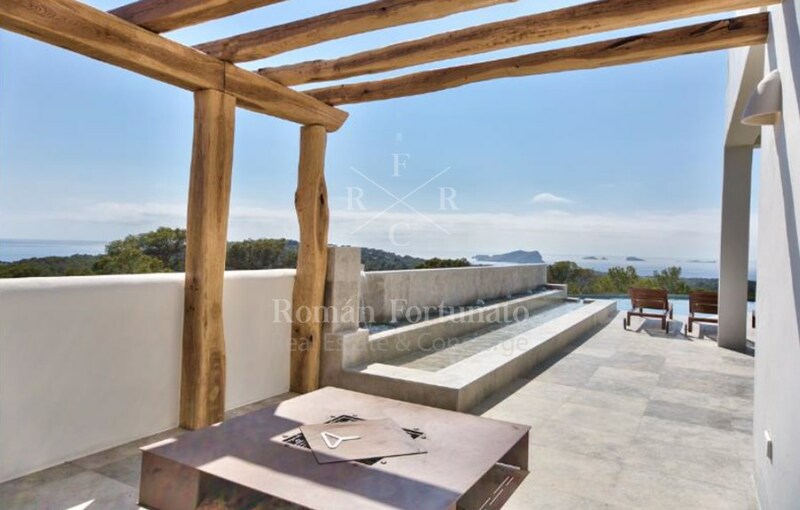 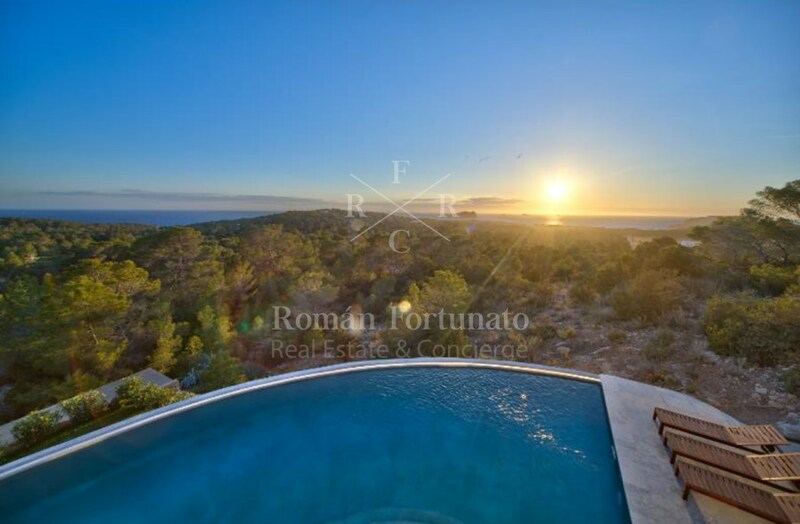 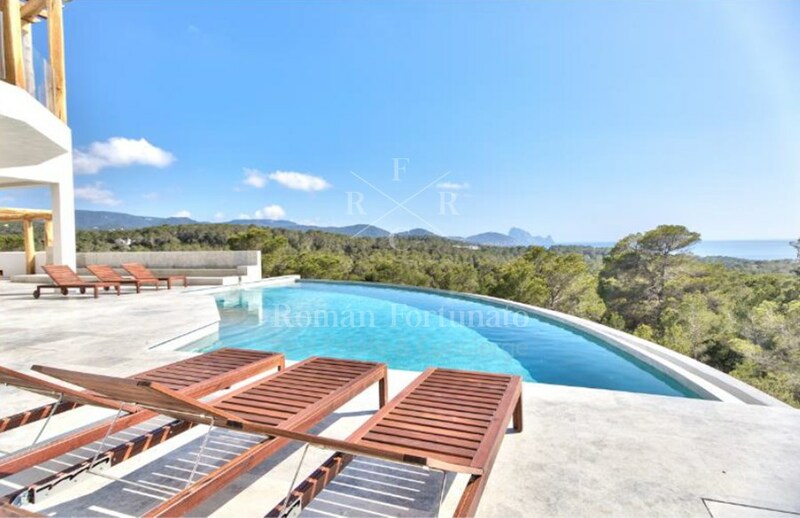 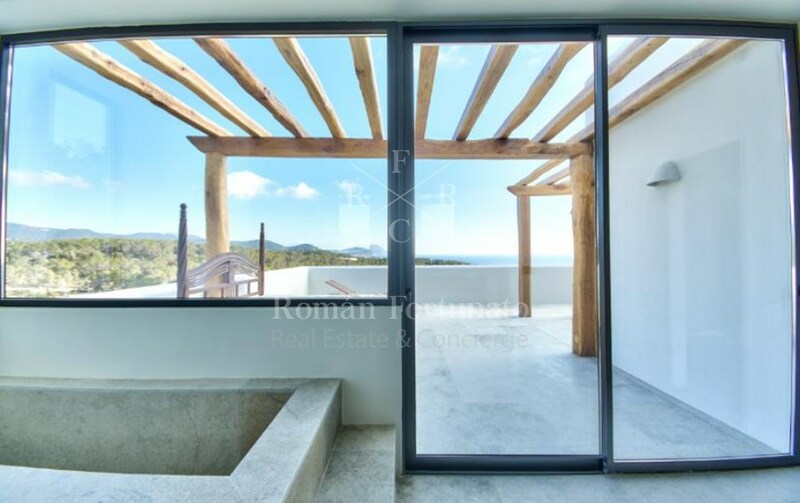 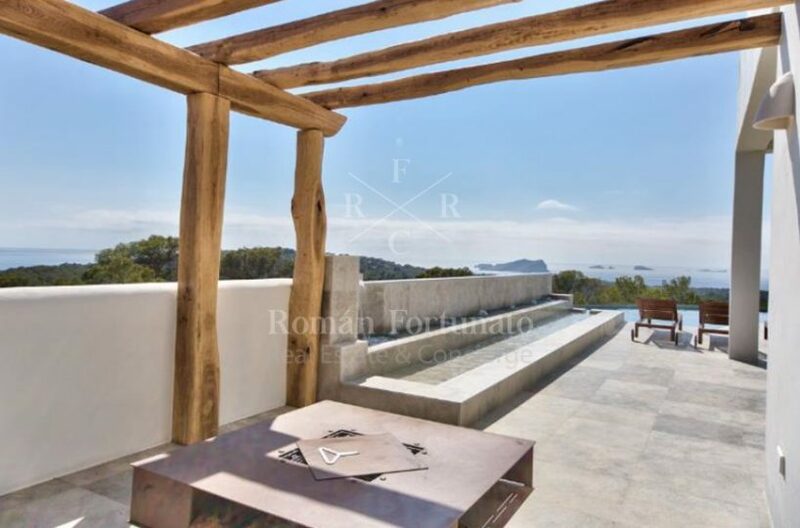 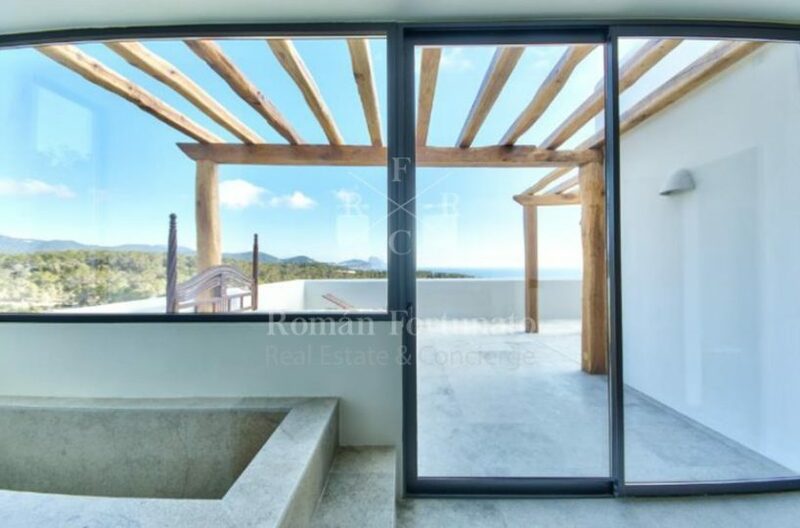 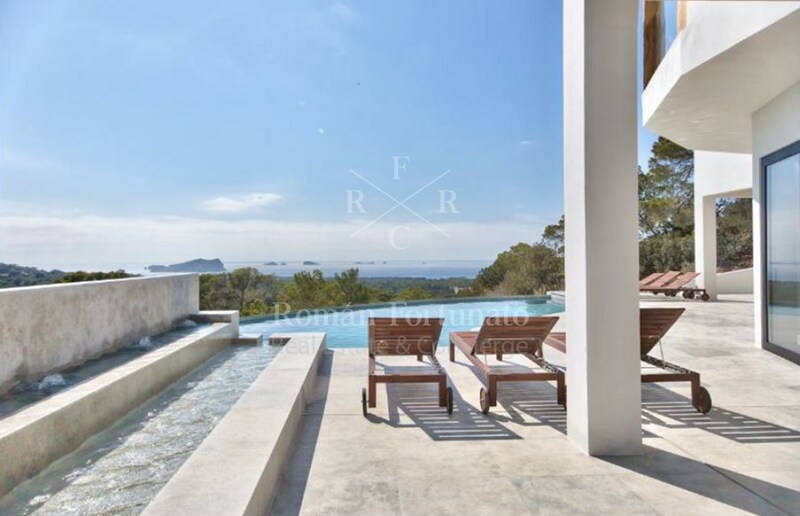 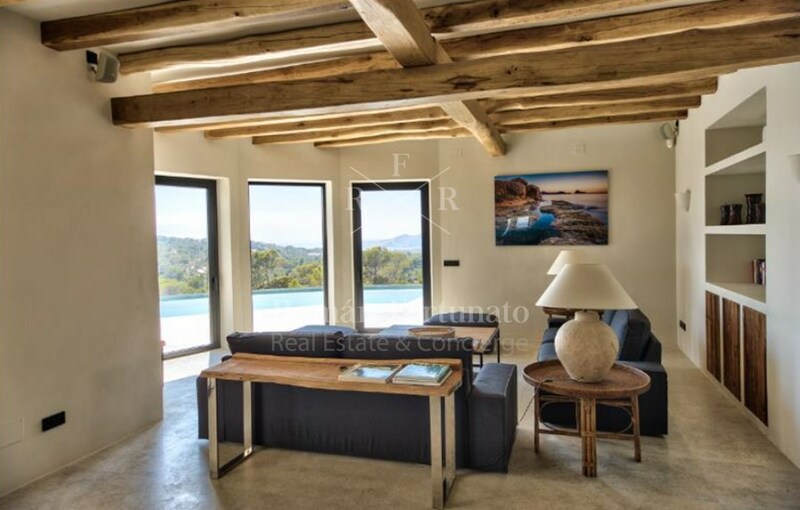 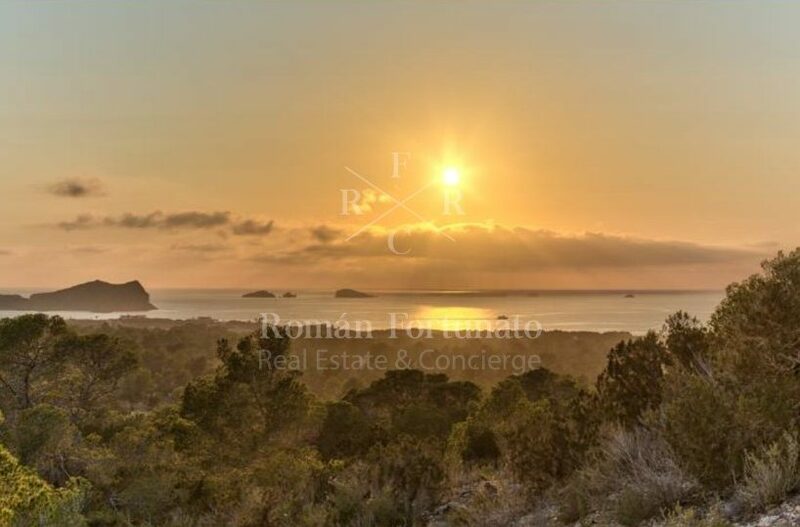 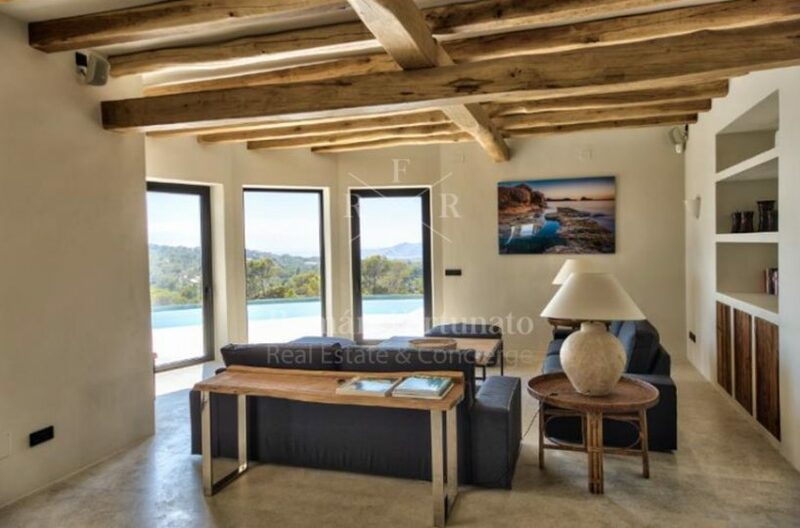 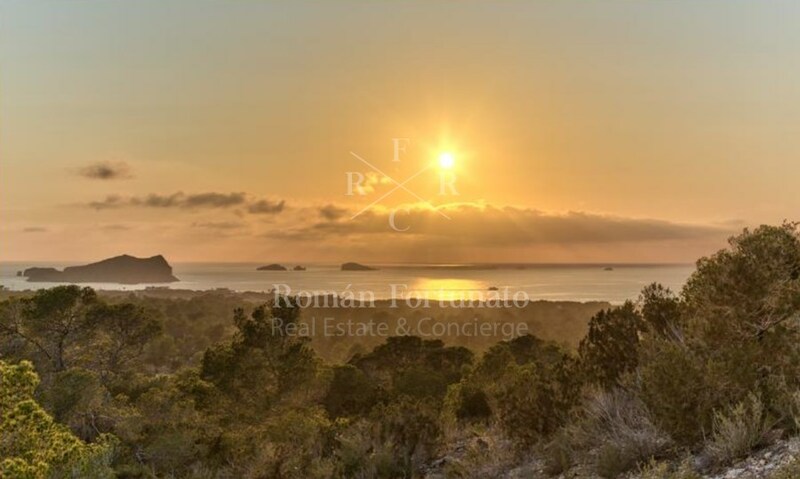 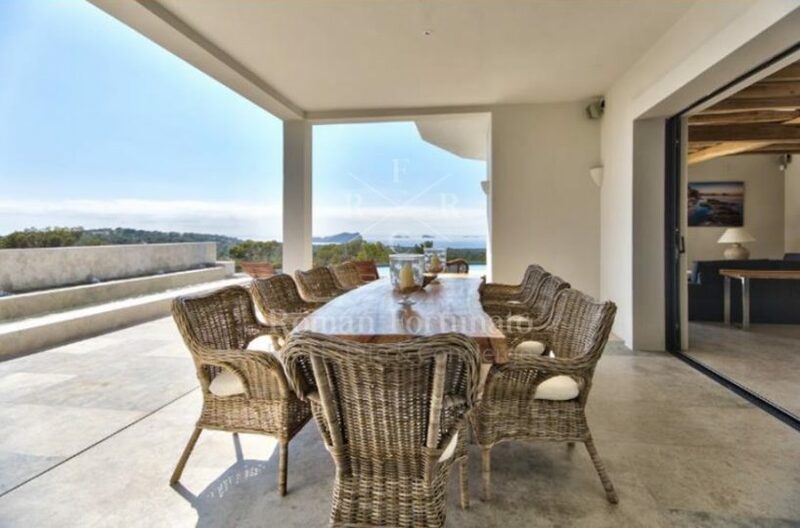 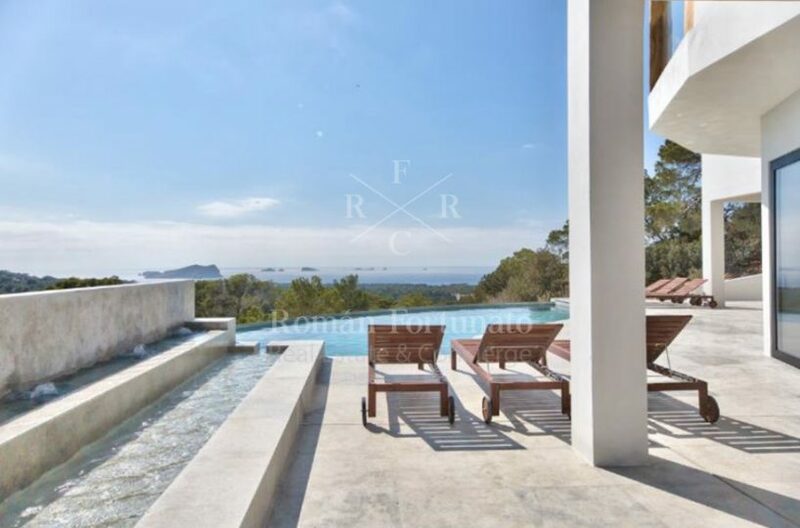 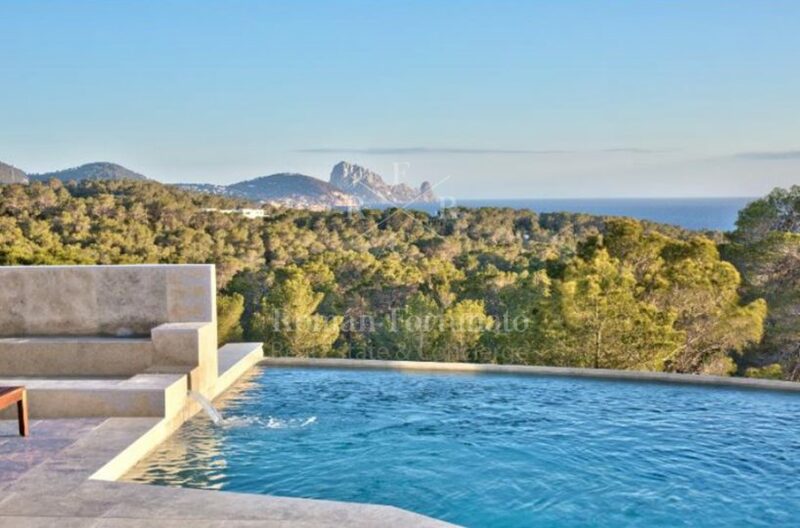 Villa Bego has stunning 270-degree, unobstructed views onto the sea in Cala Conta and the mythical rock of Es Vedra island in the distance on the other side. 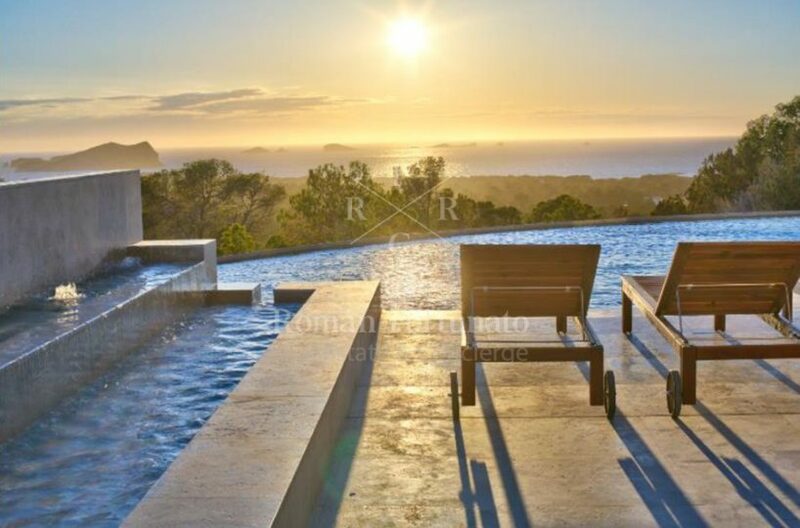 The sunsets into the sea are simply breathtaking. 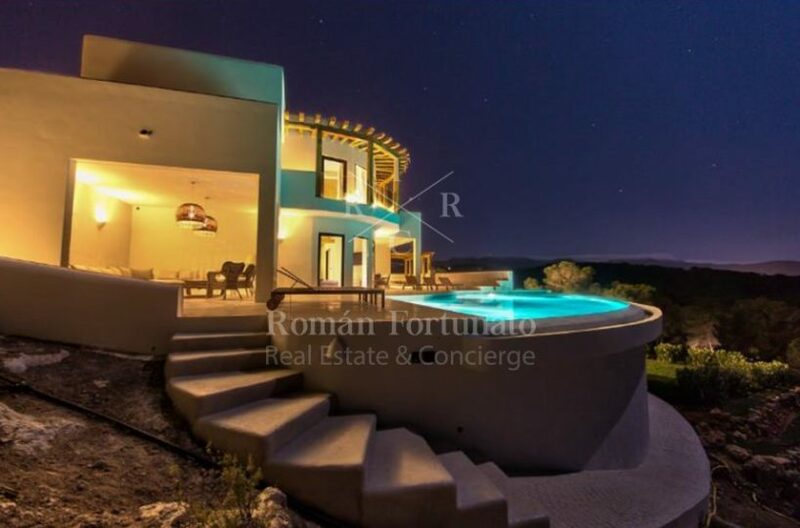 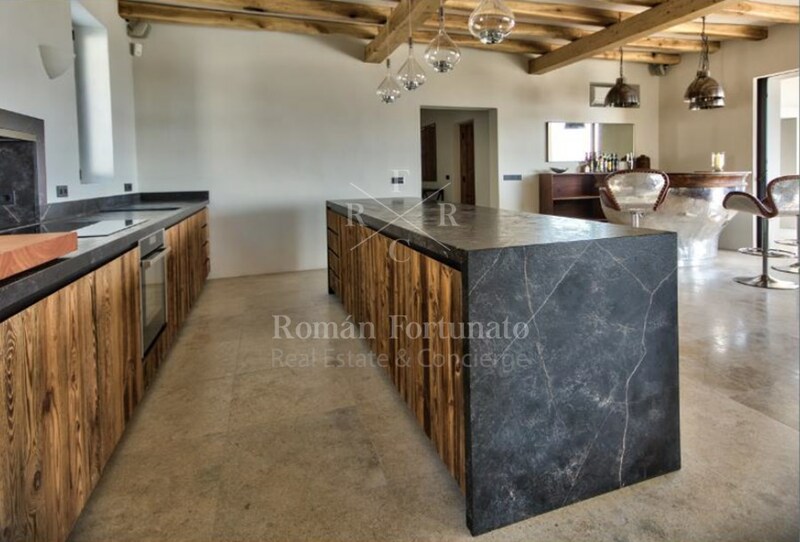 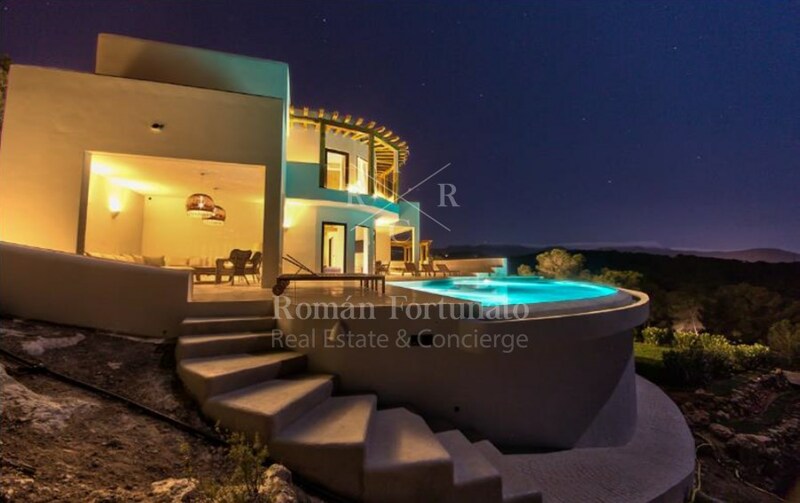 The house itself has around 450m2 of interior living area as well as abundant terrace and outside lounge areas and an infinity pool. 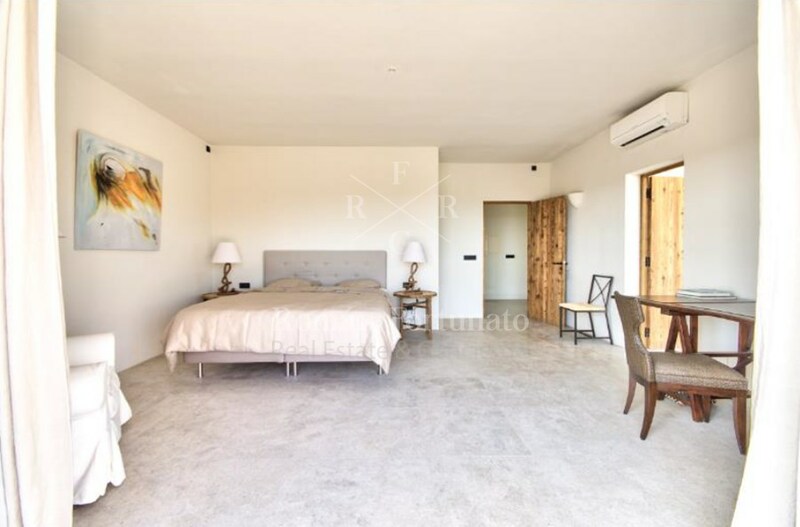 There are a total of 6 guest bedrooms (all en-suite) and a total of 7 bathrooms. 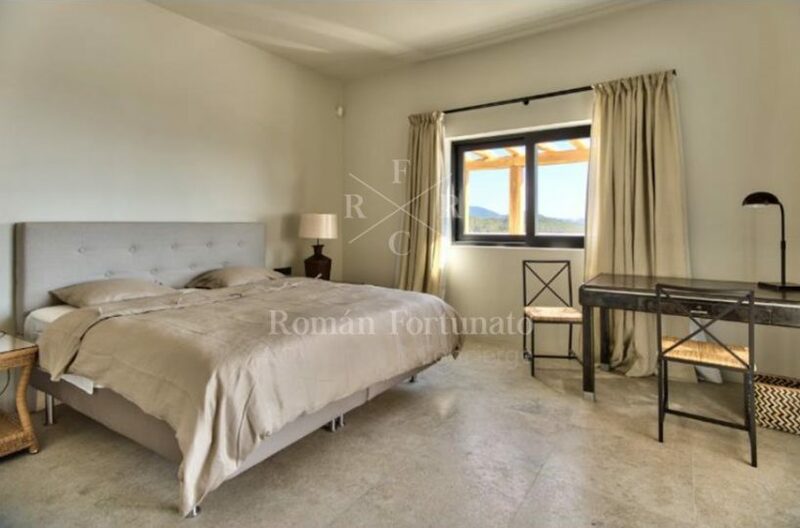 The villa has capacity for 14 guests in total (as one bedroom has an additional sofa-bed and therefore this bedroom sleeps 4). 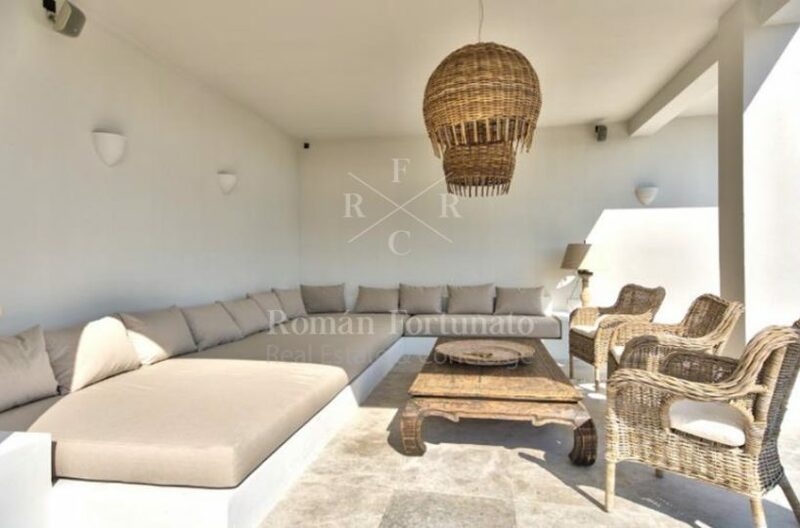 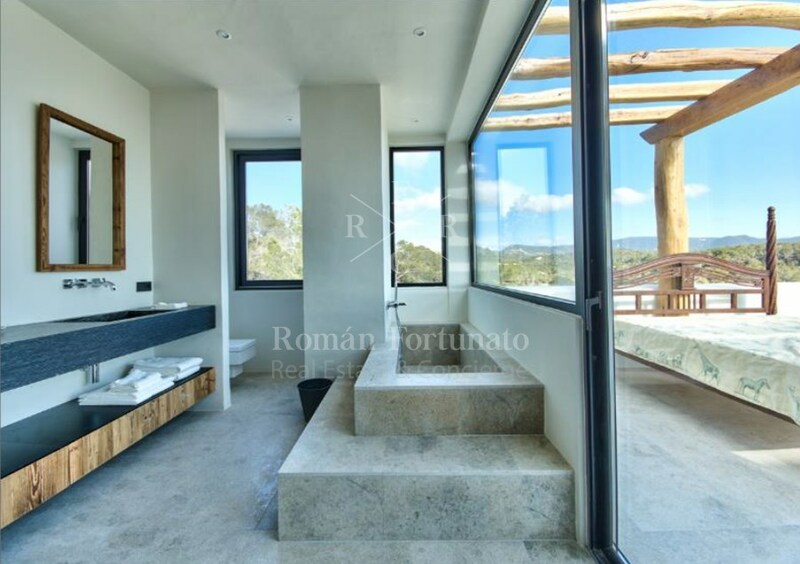 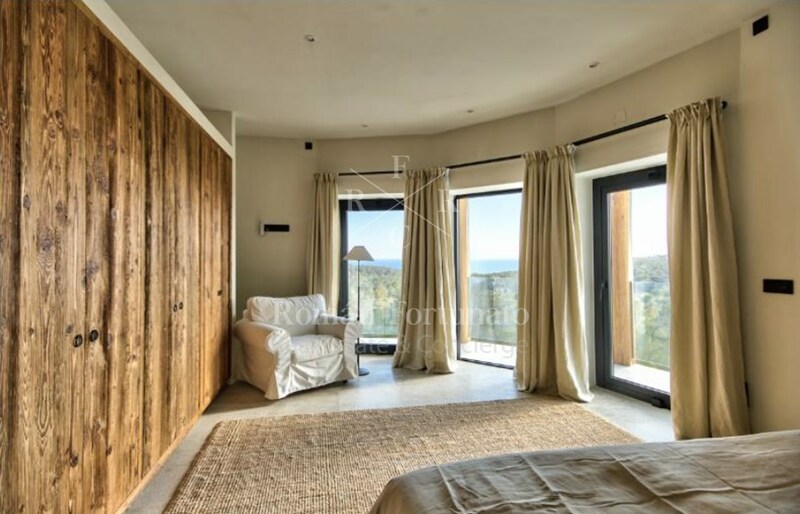 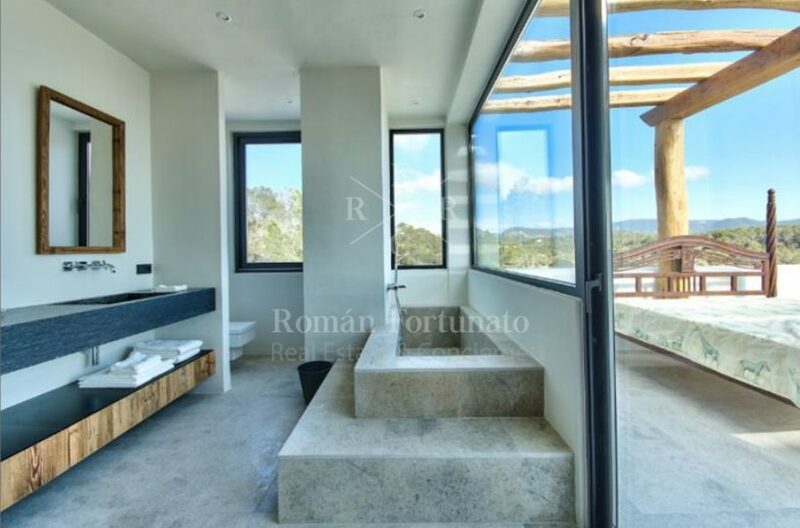 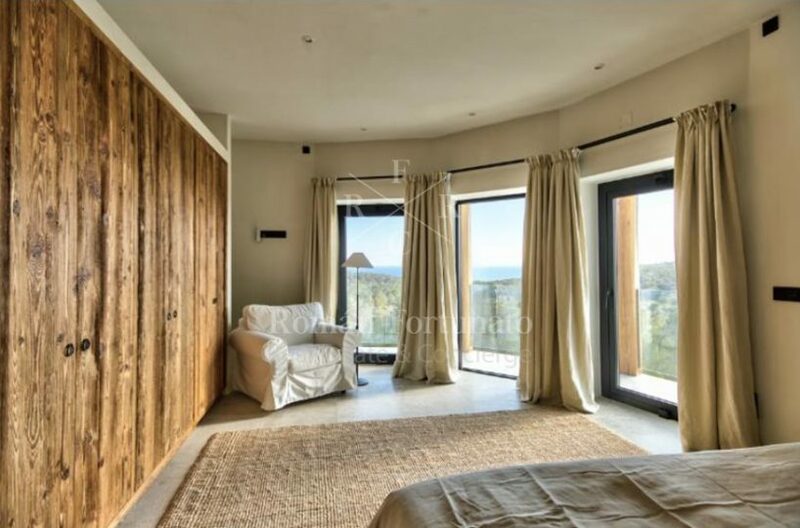 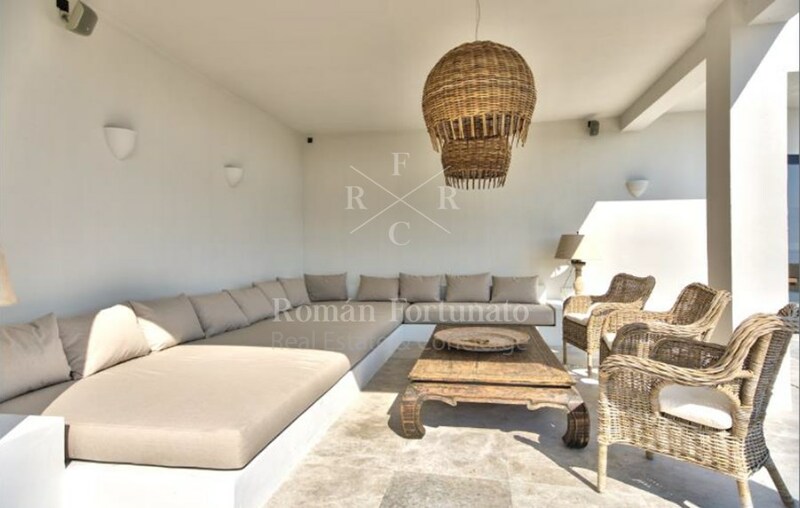 All bedrooms are very sizeable (a rare feature in Ibiza) and each has its own terrace and sea views. 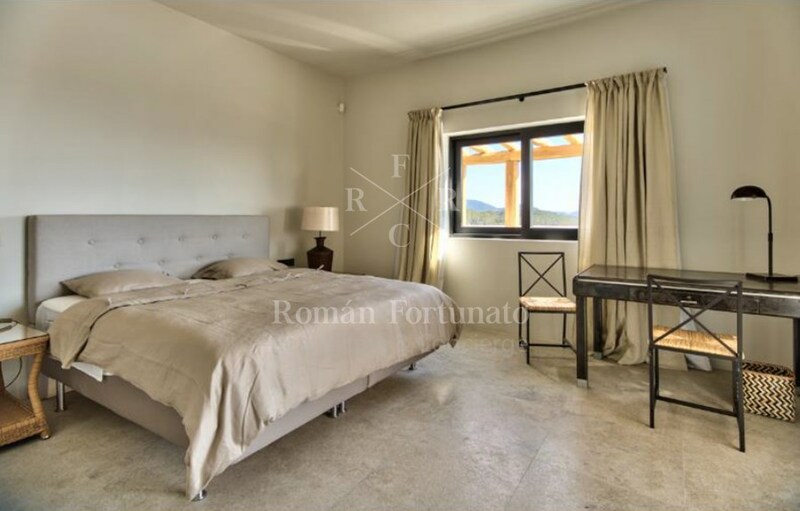 In addition, the ground floor features a state of the art kitchen, bar and living room area with a large flat screen TV. 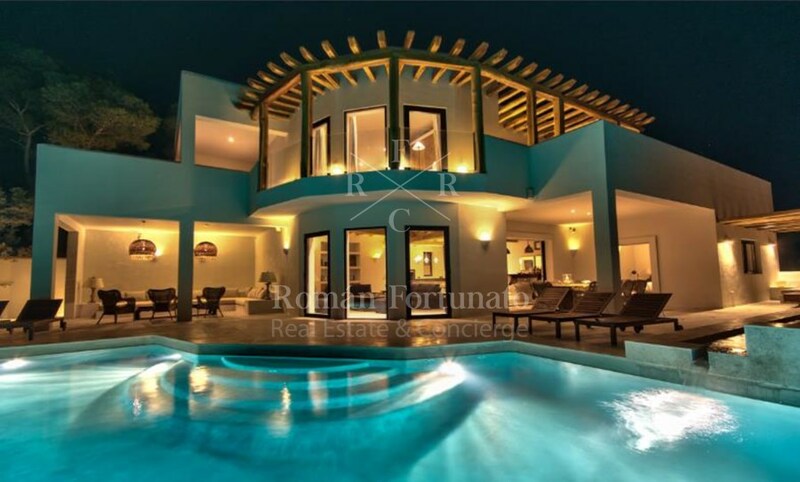 Wi-Fi and air conditioning are of course available throughout the villa. 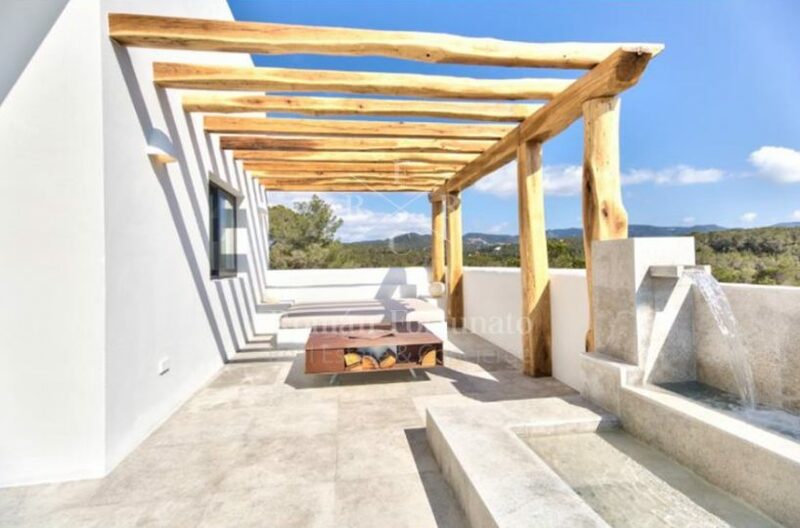 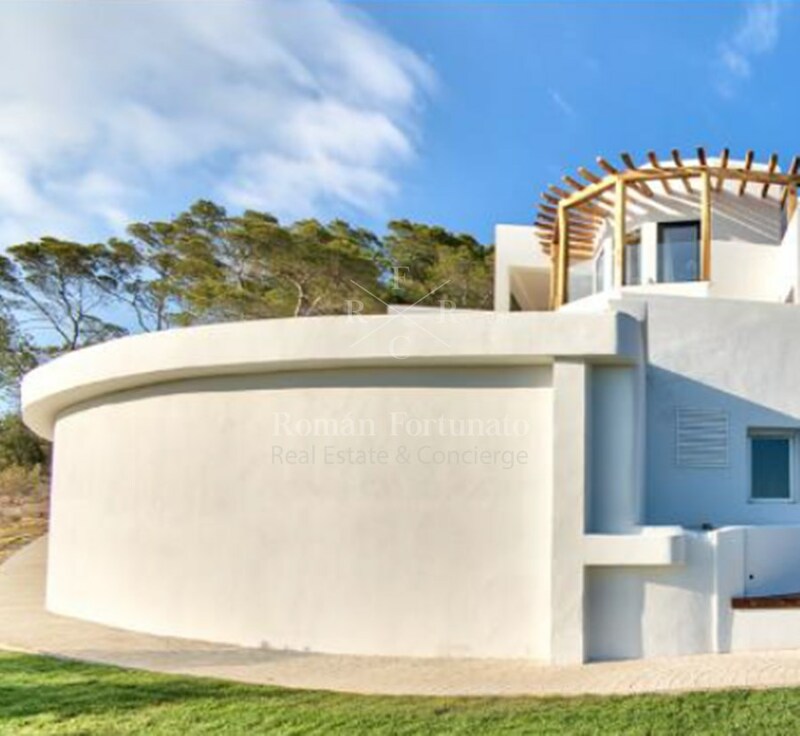 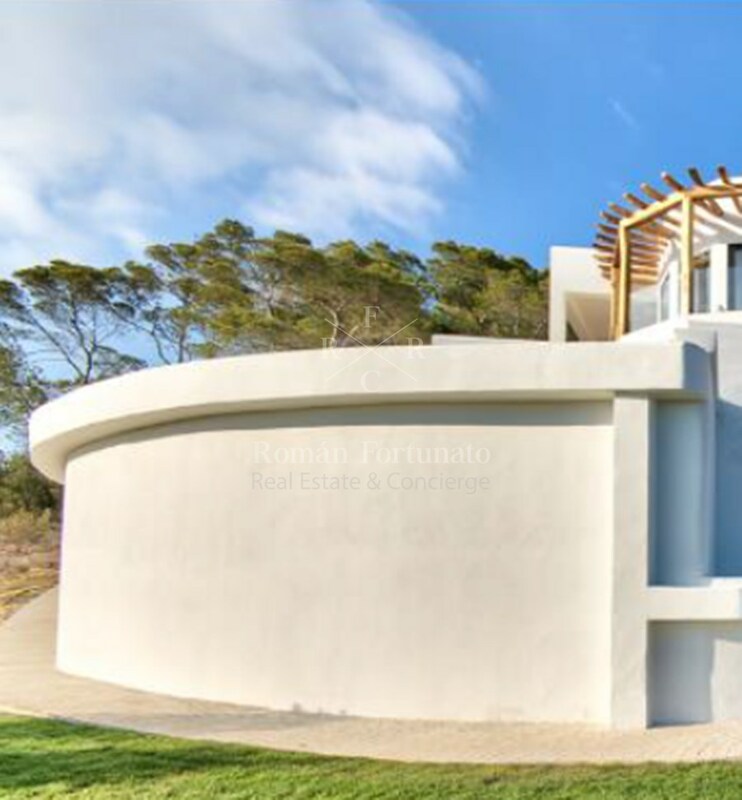 Villa Bego was built in 2016 by renowned Ibiza-based Architect Rolf Blakstad. 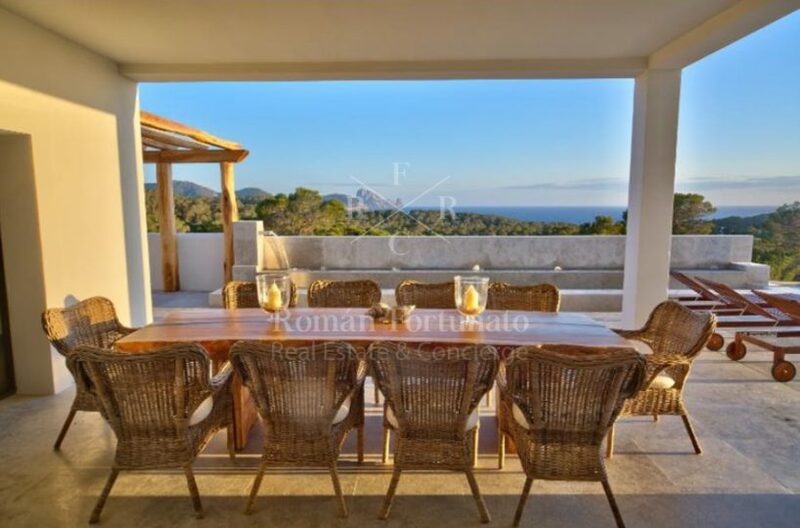 The villa is less than 5 minutes by car from the beaches in Cala Conta, Cala Bassa and Cala Tarida, all of which have a great selection of beach restaurants such as the trendy Cotton Club. 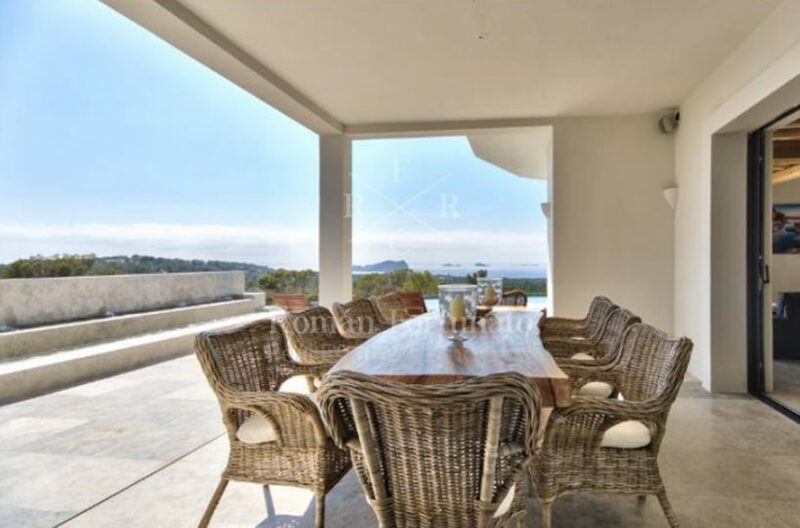 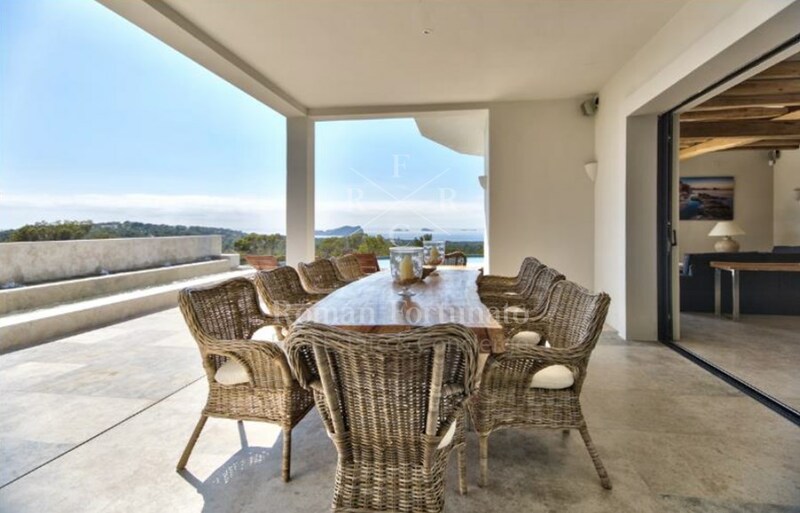 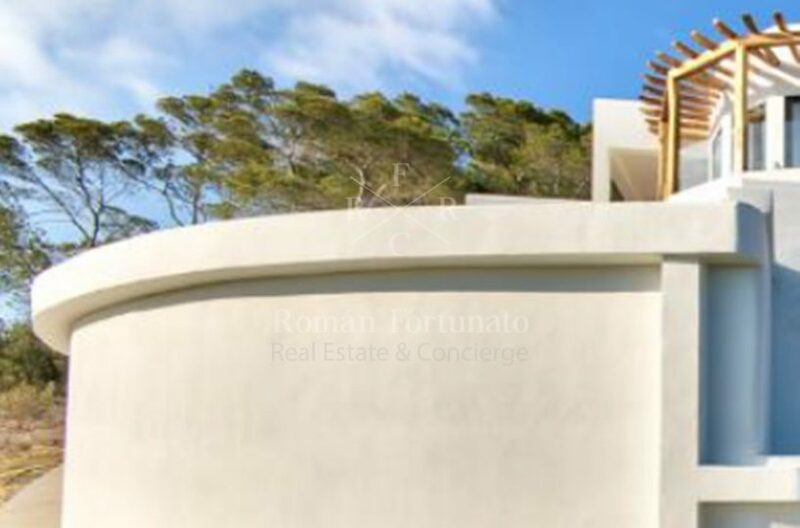 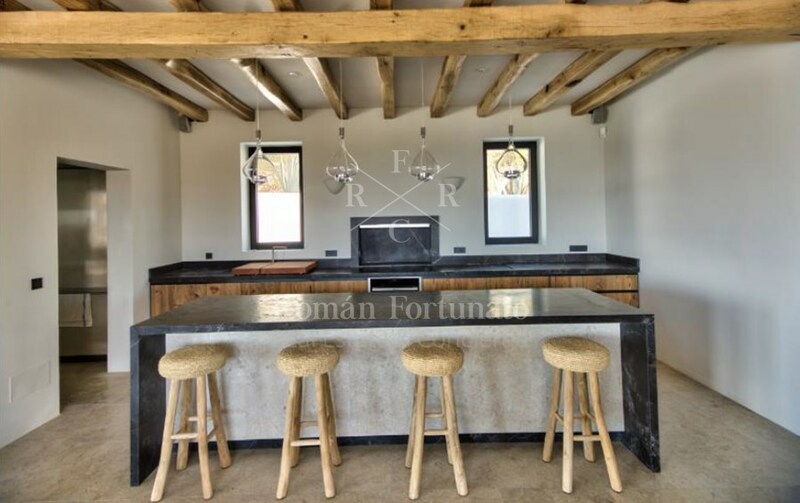 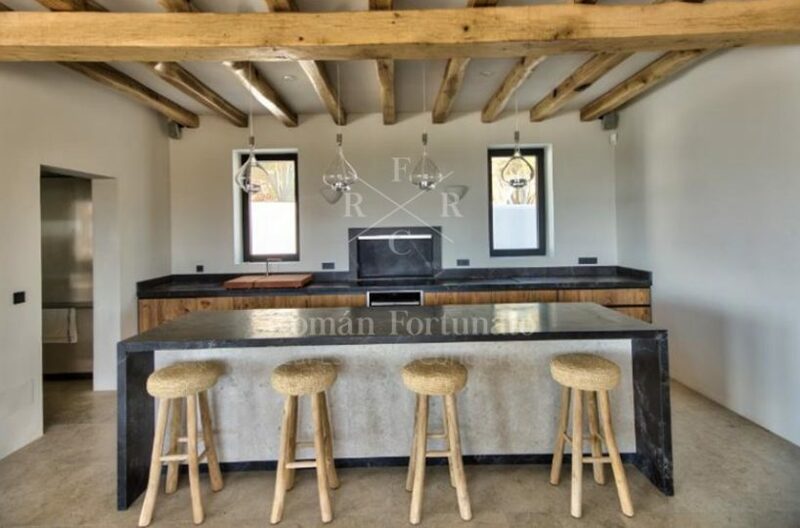 The villa is 10 minutes from the town of Sant Josep, 20 minutes from the airport, 25 minutes from Ibiza town and port and 15 minutes from San Antonio.